Our Ministries focus on leading people to a saving knowledge of Jesus Christ as we follow the Lord's command to make disciples of all nations. The FBC Liturgical Dance and Mime ministry has become a consistent part of our worship experience. YADAH is the Liturgical Dance ministry that shares their gifts of dance on the 3rd and 5th Sundays. SWAG: "Save with Amazing Grace" Mime ministry shares their gifts on the 2nd and 4th Sundays. The fellowship of breaking bread together is very important to forming a bond with fellow congregants and people of the community; therefore, the Culinary Ministry is an integral part of the First Baptist Church fellowship. This ministry provides all food and refreshments for special services and occasions, birthday celebrations, Thanksgiving and Christmas luncheons for senior citizens of the community, repasts following funeral services, Bottle Hill Day and our annual friends and family picnic, etc. With the aid of Deaconess Amy Fletcher and Sister Jackie Love, Robert James has been the Church chef since 1985. This ministry provides the church's media and publicity needs including print, photography, press releases and multi-media. We are responsible for the operation and maintenance of the churches sophisticated video, sound and lighting systems. All of our church services are videotaped and events are photographed so that the church has a visual history. The ministry creates posters, flyers, journals and all other print media to cover church events and is responsible for website development and maintenance and communicating news items to the local press. The Ministry: Ushering is a sacred ministry, and every usher has to stand ready to bring to bear upon its exercise every personal endowment and all that God has given by way of nature or of grace. An usher's warm welcome an gentle courtesy can set the whole tone for anything that might happen within the hearts of those who gather. Ushers are more than doorkeepers, they are "doors" given open access to the warmth of holly fellowship in the spirit of Jesus. The Mission: The Senior Usher's mission is to meet, greet and seat worshippers that enter into the sanctuary; while assisting the ministers, deacons and any ministry or member by sight or request. Our faith continues away from the sanctuary as we care, share and dare to do the will of God in conjunction with the youth ushers. We avail ourselves to all service and events associated with the church. Connecting women in transformational relationships to impact their world for Christ … through the mission and vision of the local church. 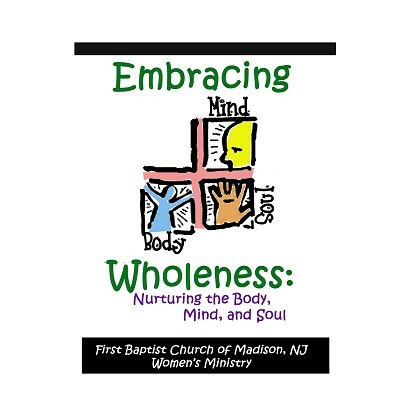 “Wholeness – spiritually, physically, mentally, and a total living being in Christ.” A ministry that would reflect the journey towards wholeness as individuals and collectively amongst the women. Identify the needs of the women in age appropriateness and creatively address these needs through ministry.